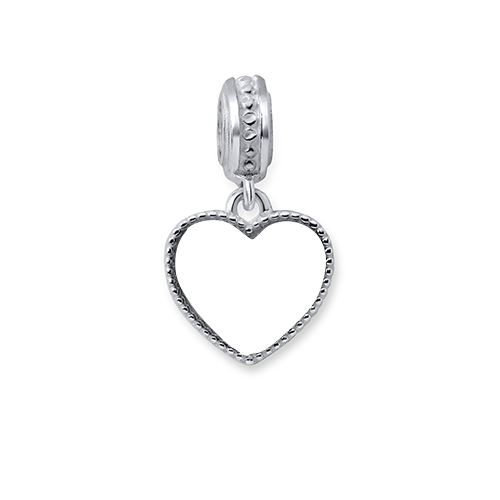 Personalize this silver heart photo charm with a special picture. Engrave a name or word on the back side of this silver pendant. Dimensions: 13.25 mm x 13.11 mm \ 0.52" x 0.51"